Get To Know: Jovanie #DaNewWave ???? Meet Brooklyn’s own 15-year old singer, songwriter Jovanie who is taking the R&B world by storm. 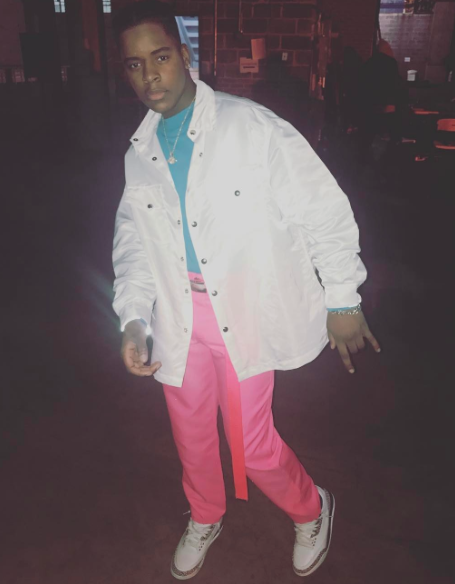 Jovanie was raised in East Flatbush, Brooklyn and used Instagram as a platform to promote his vocals. With over 150,000 followers on IG it wasn’t long before he caught the eyes of Atlantic records and was able to sign with them. October 2015 Jovanie released an 11 track EP called What’s The Move Pt. 2 where he unleashed on the world his swaggy dance moves and his strong vocals, which honestly gives off early Chris Brown vibes. Now Jovanie is back with his new sing ‘Two Seater’ featuring Lil Yachty which is just in time for the summer. Follow his on Instagram to stay up to date with all his latest moves by click here.